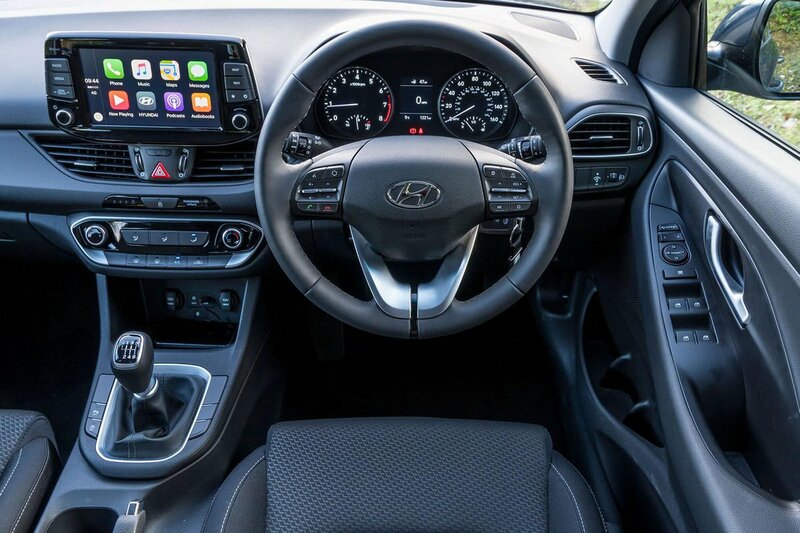 Hyundai i30 Interior, Sat Nav, Dashboard | What Car? The driver’s seat of the i30 is a pleasant place to sit. The seat itself is comfortable and the pedals are well-positioned, while electrically adjustable lumbar support is standard on all but entry-level S trim. Fully electric seat adjustment is standard on Premium trim and above. The i30’s dashboard is refreshingly simple, too; every button is big enough to hit at a glance, and all the controls are clearly marked. Most of them are also positioned high up for added ease of use. 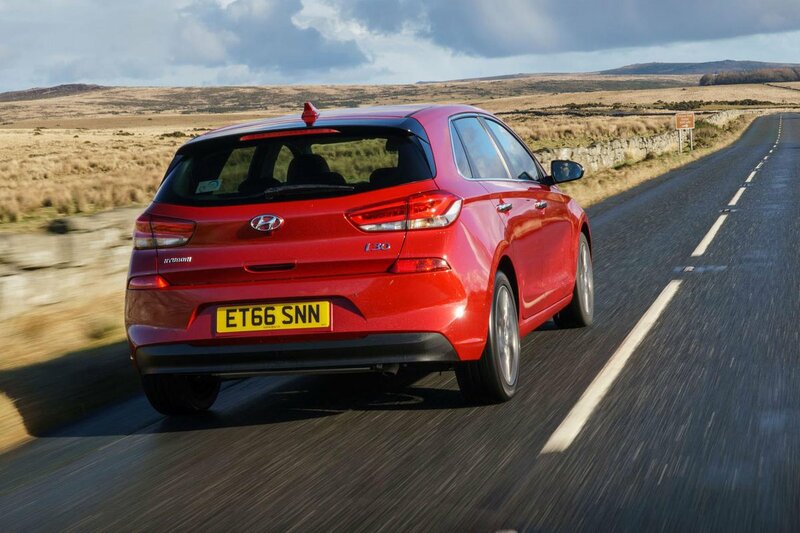 The i30’s small rear screen and relatively thick rear pillars mean over-the-shoulder visibility isn’t particularly impressive. The view out of the front is much better, making it easy to judge roundabouts and T-junctions. Electrically heated and adjustable door mirrors are standard on all models, as are automatic headlights and wipers. Rear parking sensors and a reversing camera are standard on all but the cheapest trim, while the top two trims (Premium and Premium SE) also have front parking sensors. A heated windscreen is also standard on the top two trims, as are LED headlights with a smart high beam function that automatically dips the beam when traffic is approaching. Go for entry-level S trim and you'll get a decidedly basic infotainment system, although Bluetooth, a DAB radio and a USB socket for charging your phone are at least included as standard. SE models come with a 5.0in colour touchscreen, which is simple to use but not particularly visually engaging. That's why we'd recommend paying a bit extra for SE Nav trim; you'll get an 8.0in colour touchscreen which is much nicer to look at, even easier to use and comes with Apple CarPlay and Android Auto smartphone mirroring as standard. You also get a built-in sat-nav. The same 8.0in touchscreen is also what you get if you opt for range-topping Premium or Premium SE trim. 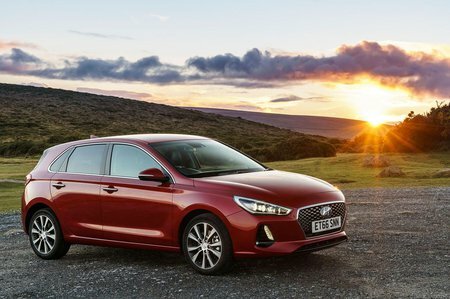 The i30's interior is conservatively styled but built with good-quality materials throughout. Entry-level models miss out on some of the flashier trim that’s standard higher up the range, but there’s no sign of penny-pinching in the cabin. True, the i30 isn't as classy inside as an Audi A3 (or even a Skoda Octavia for that matter), but it's more upmarket than a Vauxhall Astra or a Fiat Tipo.